This is my first year growing Lantana camara, a flowering plant from the tropical regions of Central and South America. It's my understanding that L. camara grows into a large shrub in its home range or other tropical environments, but here on the border of USDA zones 6 and 7, it's only marginally hardy. It's my understanding that it will die to the ground this winter and (hopefully!) resprout in the spring. Even if it does act as a perennial here, I doubt it would get bigger than it did this year (about 2-3 feet tall and wide). I chose the 'Miss Huff' cultivar because it is reportedly the most cold hardy L. camara available. 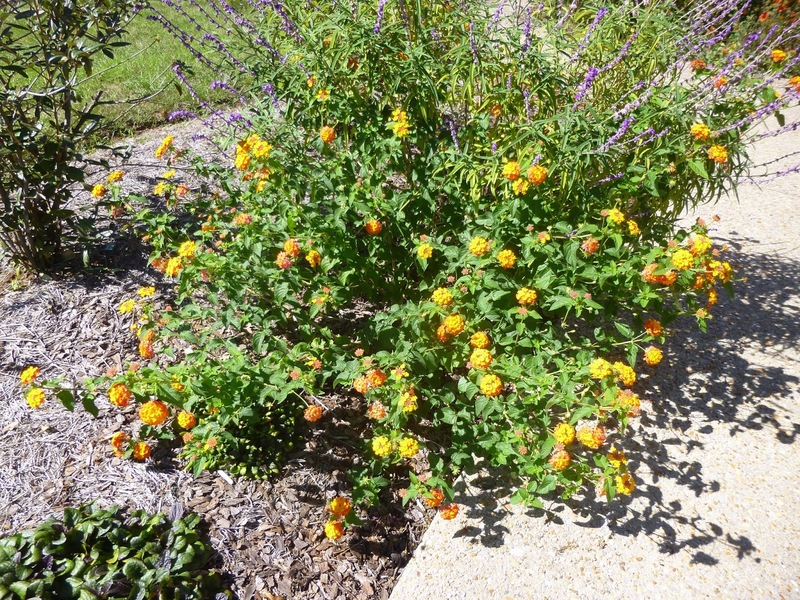 Lantana camara in October 2015, still first year in the garden! These flowers have bloomed non-stop for months. 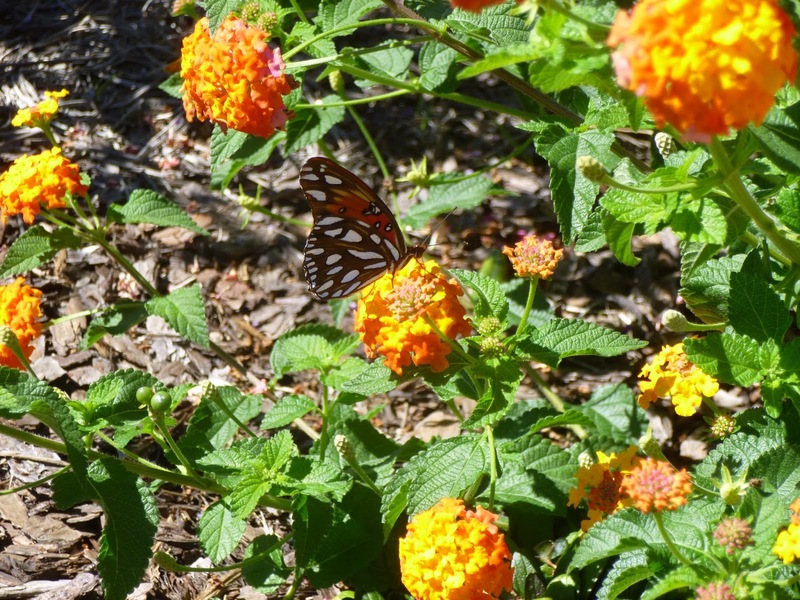 It took the butterflies a little while to discover the plants, but especially in late summer and into early autumn (August, September and October), the two L. camara plants have been aflutter with butterflies throughout the day. Not only are the flowers pretty to people, but clearly they are the cat's meow to butterflies. Hopefully, 'Miss Huff' will survive the winter and come back next year (I'll let you know! ), but regardless these plants offer so much beauty throughout the summer and autumn that I'm planning to add a few more to the garden next spring. Even if they only behave as annuals, I think they'd still be worth having in your garden. 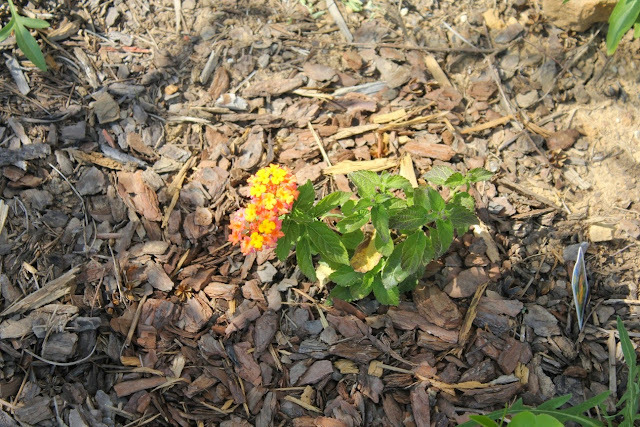 Lantana camara does seem to prefer a good bit of sun. The plant that was in a mostly sun setting flowered and grew a bit better than the one that received afternoon shade from a Vitex agnus-castus (chaste tree). With just a bit of supplemental water early in the summer to help them get established, both plants proved extremely heat and drought tolerant. The flowers are self-cleaning (i.e., there's no need to deadhead) and the plants bloom profusely and cheerfully for months and months. I do believe that L. camara is invasive in various tropical or subtropical parts of the world, including in parts of the U.S., especially along the Gulf Coast. In Texas, the problem seems to be limited so far to Austin and points south. In Florida, it is considered a Category I invasive as it displaces or hybridizes with native plants. As far as I know, it is not considered at all invasive here in Tennessee. As I said, I think it's only marginally hardy here to start. If you live in a warmer zone and feel you must have Lantana camara to feed butterflies, please look for a cultivar that is considered sterile or seedless. Actually, per Clemson, I see that 'Miss Huff' is supposed to be sterile! Hooray!! This makes me feel even better about growing this cultivar. I also suppose it explain why I haven't seen any fruit on Miss Huff despite lots of pollinating action going on. Good deal.